The year is 885, and England is at peace, divided between the Danish kingdom to the north and the Saxon kingdom of south Wessex in the south. Uhtred, the dispossessed son of a Northumbrian lord-warrior by instinct, Viking by nature-has finally settled down. He has land, a wife and two children, and a duty given to him by King Alfred to hold the frontier on the Thames. But then trouble stirs: a dead man has risen, and new Vikings have arrived to occupy the decayed Roman city of London. 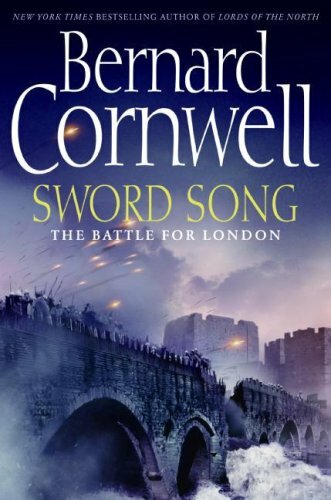 Their dream is to conquer Wessex, and to do it they need Uhtred's help. Alfred has other ideas. He wants Uhtred to expel the Viking raiders from London. Uhtred must weigh his oath to the king against the dangerous turning tide of shifting allegiances and deadly power struggles. It is Uhtred-half Saxon, half Dane-whose uncertain loyalties must now decide England's future.